The newly announced Samsung Chromebook Plus (V2) looks a lot like the 2017 model, but it actually has a couple of upgrades. 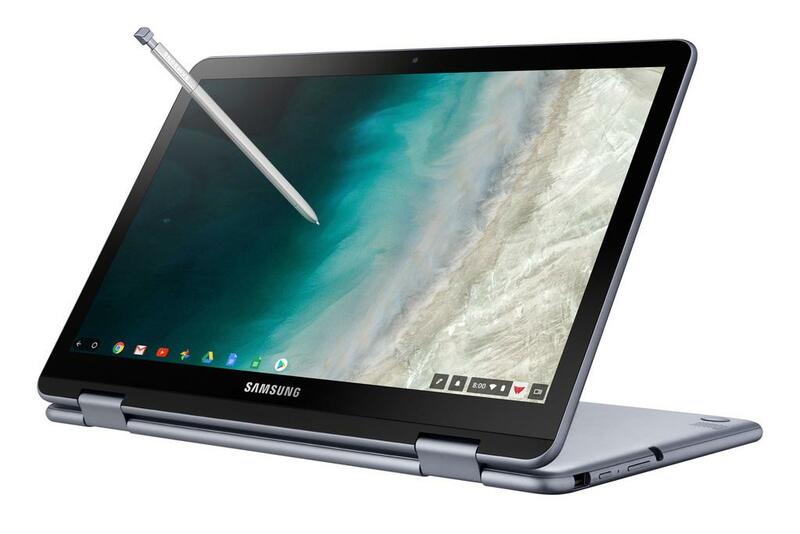 The refreshed version of the Samsung Chromebook Plus comes with an Intel processor and a second camera. The Chromebook Plus (V2) has a 12.2-inch 1,920 x 1,080 full HD touchscreen display. It’s a little heavier than its predecessor at 2.93 pounds, but it comes with the same slim design. It still comes with a built-in pen and will allow users to fold it into tablet mode. Additionally, it still comes with a 1-megapixel front-facing camera for making video calls, but Samsung has added a second camera on the back. The second camera features a 13-megapixel sensor with an f/1.9 aperture lens and it comes with autofocus support. The addition of the second camera makes the device more functional as a tablet, as pointed out by Engadget. The biggest difference between the Chromebook Plus (V2) and the 2017 model is that the former is powered by an Intel processor. The previous model arrived with an ARM-based chip that was specifically picked by Google so the device could run Android apps. The Chromebook Plus (V2) is now powered by a lower-end Celeron processor, which should mean that the device will be faster than its predecessor. However, this might also mean that it may not run Android apps that well, as pointed out by The Verge. Like the previous model, the Samsung Chromebook plus (V2) comes with 4GB of RAM and 32GB of storage. The device also has a microSD card slot that can support cards of up to 400GB. Its keyboard has also been given a slight upgrade and can now withstand spills of up to 60 ounces. The 2-in-1 device also has two USB Type-C ports that will allow users to output the laptop to a 4K display and a single USB 3.0 port. The Samsung Chromebook Plus (V2) will be available starting on June 24 through Best Buy. 'Atlas' Chromebook To Come With 4K Display?